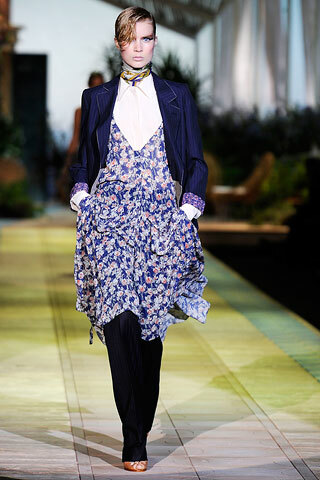 For some reason with most hijab-friendly fashion on the runways, it rare to see layering done well. 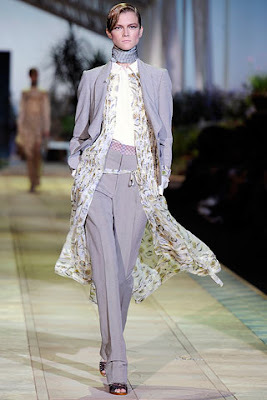 But this time, Roberto Cavalli's collection featured several outfits with light, floaty floral layers over smart tailored pieces. These outfits would be a great way to freshen up workwear this Spring. What do you think? The outfits look frumpy even on the models, imo. I can't see this working too well on normal body frames. Maybe the 3rd outfit? But only maybe. Not thrilled at all. I like the idea of it... You know wearing dresses over trousers, but what makes it extra cool is wearing a jacket as well. It has that smart/casual vibe to it. V.nice! 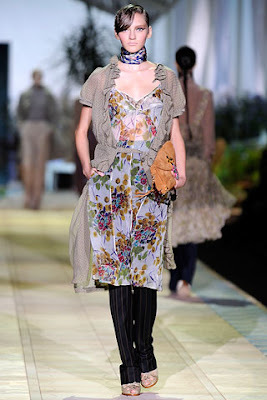 Looks like modesty is here is to stay in the fashion world!